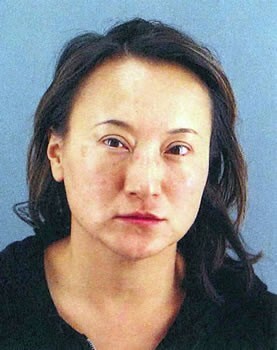 The lawyer for Mary Hayashi on Friday said a benign tumor in the East Bay Assemblywoman’s brain was at least partially to blame for her shoplifting spree at Neiman Marcus in San Francisco in October. Attorney Douglas Rappaport made the comment after Hayashi made an unexpected appearance in court and pled to a lower charge of misdemeanor grand theft stemming from the allegations she stole $2,450 in clothing from Neiman Marcus. He added the tumor is being treated medically, not surgically and she does not plan to step down from her final year in the Assembly. Last month, San Francisco Superior Court Judge Gerardo Sandoval excused Hayashi from attending Friday’s preliminary hearing. Her appearance was a surprise as she entered the Hall of Justice by herself and entered through the regular entrance to Sandoval’s court room. Once before the judge, Hayashi pled guilty, but made no additional remarks. Earlier in the day, San Francisco District Attorney George Gascon appeared willing to accept the possibility of the judge lowering Hayashi’s charge to a misdemeanor. "If the court decides to lower it to a misdemeanor, then that would be the appropriate course and we'll support the court," he said.